Key ingredients: Flour, butter, baking powder, powdered sugar, vanilla essence, etc. 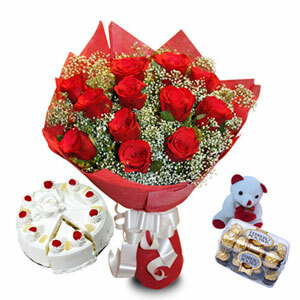 The packing items such as wrapping paper and ribbon can be used again. The green fillers in this bouquet of lilies are dependent on seasons and regional availability. The candles and knife are complimentary. Yellow lilies represent thankfulness and an urge for enjoyment. If your loved ones have an inclination for lilies, then this gift hamper is a stunning choice to surprise them this birthday or anniversary. 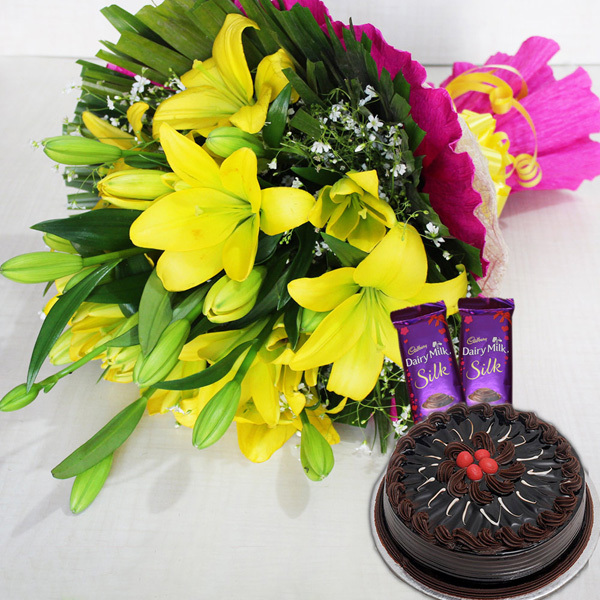 The bouquet in this gift item is impeccably crafted with bright yellow lilies wrapped in a colorful paper and ribbon along with a rich chocolate cake and delicious chocolates. Have your placed your order yet? Gifted this hamper to my girlfriend on our 1st anniversary. The best part about this was the cake. It was so chocolate and yummy. 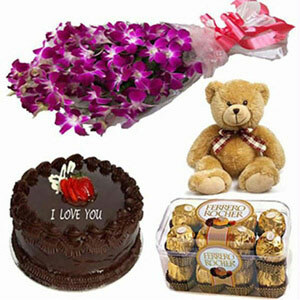 I ordered this gift hamper for Valentine for my girlfriend and asked Giftalove for midnight delivery. They delivered my gift exactly on time.